You will want to start with taking a look at your workweek. 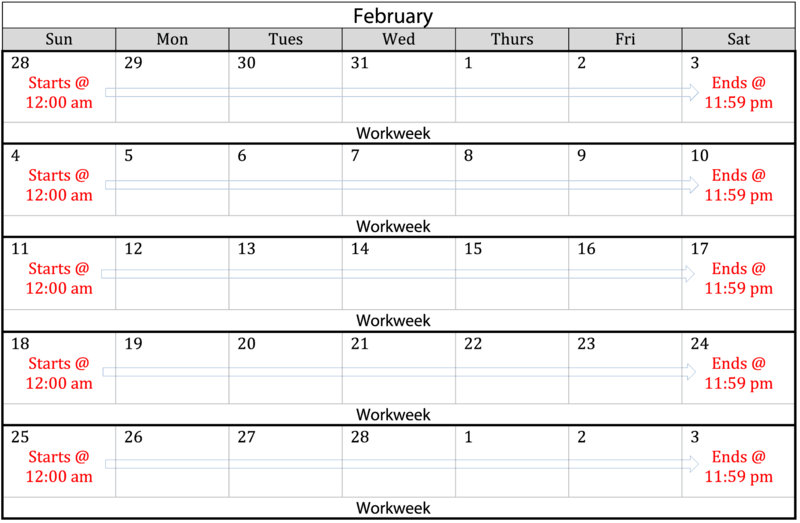 The law defines a workweek as a consecutive seven-day period. It is the responsibility of an employer to identify what workday begins the “workweek” in order to calculate overtime pay accurately. For example, the workweek may begin on Sunday at 12am and end on Saturday at 11:59pm. Workweeks are consistent and generally don’t change once set. Having a semi-monthly pay period will create two pay days per month and there are several different options when creating a semi-monthly pay period. For the sake of simplicity, we have chosen the pay periods of the 1st15th and the 16th-last day of the month for our examples below. 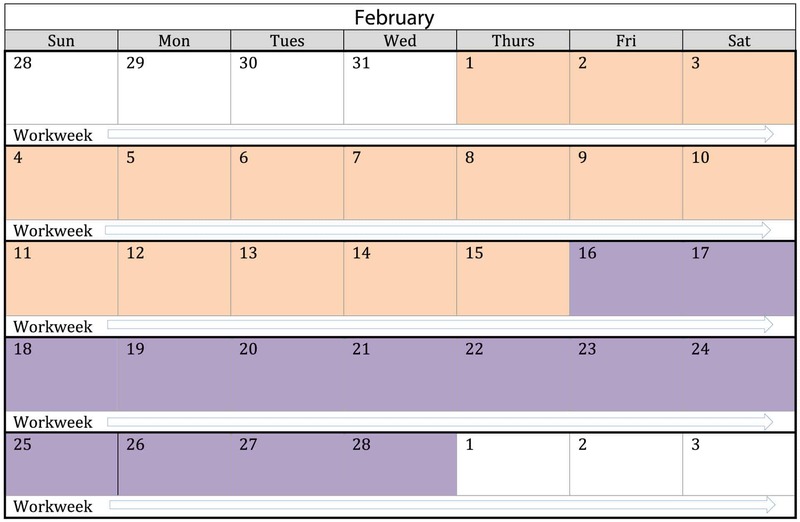 The pay periods are identified in orange and purple. As opposed to a bi-weekly pay period, a semi-monthly pay schedule means that pay days may land on different days of the week. Likewise, a pay period may span across more than one workweek, which is where the confusing calculation of overtime comes into play. An employer is required to look at the workweek and not the pay period when calculating overtime. This means that you may have to look at the hours worked from days in a previous pay period to calculate a workweek’s hours. 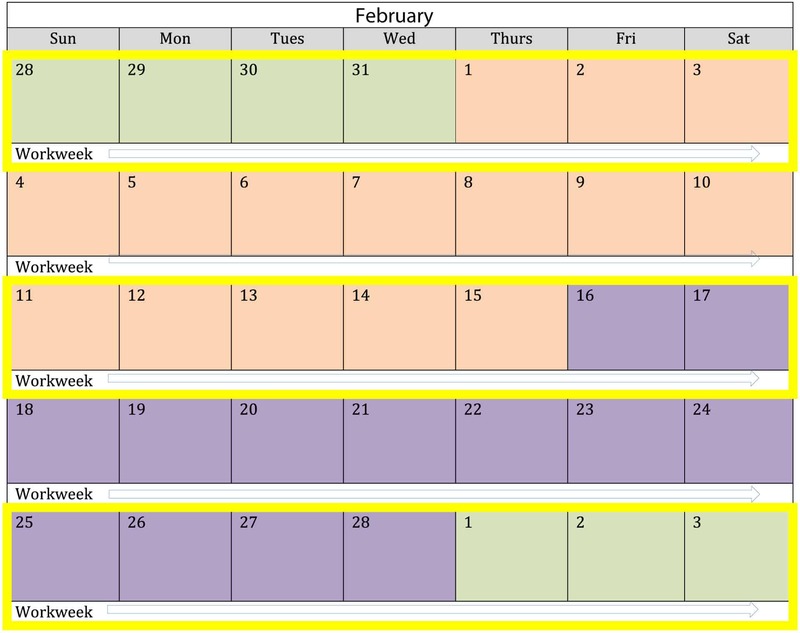 Highlighted in yellow outlines below are examples of where two pay periods share a workweek. Below is an example of how an employer would calculate overtime hours in a semi-monthly pay period. In Workweek 1 we can see that Jack Black worked a total 46 hours, 6 of which are overtime. 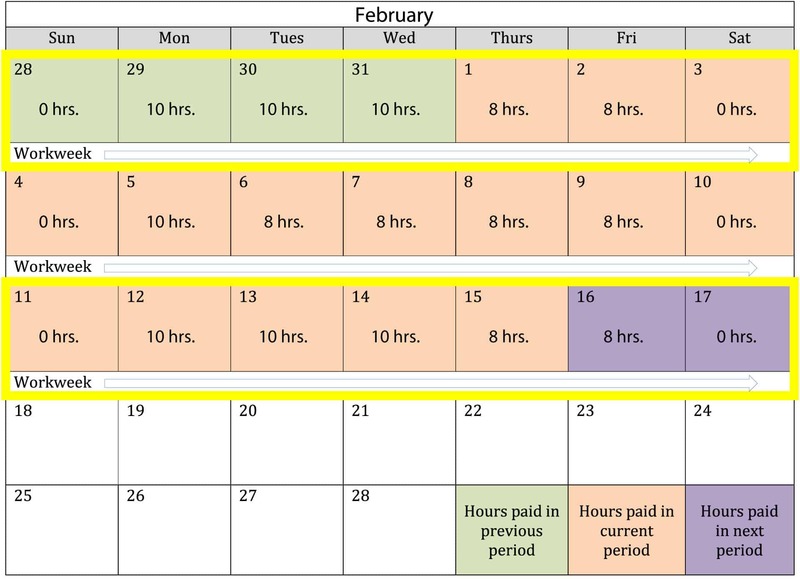 Only 10 regular hours and 6 overtime hours will be paid for the pay period because 30 hours were already paid in the previous pay period. Workweek 2 is entirely within the pay period, with no days falling into other pay periods. The entire total of 40 regular and 2 overtime will be paid for the pay period. Workweek 3 includes days for the upcoming pay period. The overtime hours for Workweek 3 fall within that pay period and not the current pay period. Therefore, only 38 regular hours will need to be paid – any overtime hours for the workweek will be paid in the next pay period.